These Shelton homeowners were interested in replacing two picture windows with energy efficient alternatives. Our team was happy to oblige. We installed a set of beautiful replacement windows from Sunrise. These two windows are not just incredibly energy efficient, they also make a dramatic improvement to the exterior without all the costly hassle that normally comes with exterior alterations. Looking for quote for my attic. Wondering what my options are and how current insulation is and also looking to add plywood. My home is always freezing cold in the winter especially in certain rooms and very warm in the summer again in certain rooms. The heat and air conditioning don't seem to be distributed evenly and it appears that a lot of air comes in from the outside. I was hoping to see how this could be fixed and if so how much it would cost. Thank you. Large bill past month and a gradual increase in the bill. I am a senior citizen and on a fixed income. You advertise for my concerns of being comfortable in my home on a budget I can afford. During the cold season my house have certain areas that are very cold, making the heater activate more often causing the electricity and gas bill to increase. "The install crew was very courteous, and professional in..."
We specialize in a variety of services aimed to lessen your home's carbon footprint and save energy and money each month! We offer it all, from air sealing to ductwork to insulation services in Shelton, CT.
At Dr. Energy Saver Of Connecticut, we offer homeowners of Shelton reliable window and door replacement options. Did you know that your home's windows and doors play a big part in maintaining the overall comfort of your home? In fact, if doors and windows do not close like they are designed, this can cause air leaks and this will cost you more in energy costs. We offer a variety of windows and doors such as low e glass windows for all areas of your home, and high quality patio and sliding glass doors.Our energy efficient replacement windows and doors have been proven time and time again to improve the energy efficiency and comfort of your home. As the trusted replacement window and door contractor of CT, we provide our customers with nothing but the best! Contact us today for a FREE window and door replacement quote! 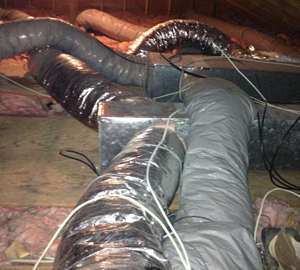 As a Connecticut homeowner, you know full-well how harsh the winters and summers can be here. One of the best ways to save on your energy bills for years to come, is to update your home's insulation. Dr. Energy Saver Of Connecticut is a professional spray foam and blown insulation contractor, catering to residential homes in Shelton and nearby. Hop on the path to savings by contacting us today! For a FREE, no-obligation services estimate in Shelton, CT, you'll also receive a free copy of "Saving Energy and Money at Home," a great book to use as you begin to create a more comfortable, healthy, and energy efficient home! Here you can see the beautiful final results. We installed two Sunrise Operating Single Casement Windows with Ultra U Glass. This replacement improved not only the home's curb appeal and energy efficiency but also provided greater comfort for homeowners. This Shelton, CT, homeowner called us to replace these two picture windows. We spent some time talking with them to discuss their goals and options. They chose a replacement window that did not require any alterations to the exterior of the home. My attic always seems extremely hot. I've also noticed in the winter what appears to be water damage on the ceiling Sheetrock with no signs of leaks. I checked the insulation upstairs and it just seems hap haphazardly thrown in. I was reading reviews on blown in insulation and i was wondering if it could be the solution i need. Looking for insulation quote for remodeled home. Looking for quote for closed cell spray foam insulation on finished basement. Basement is poured concrete with wood framing. We are looking for an energy assessment of our home. We are looking into possibly grtting central air in our home. The house gets extremely hot, and cold in the winter. The house is a u-shaped ranch, its difficult to get hot air from our pellet stove to warm any other part of our house up. The attic amd garage are extremely hot in summer. We would like to use spray foam insulation in our sun room. House was built ~5 years ago. We are second owners and have owned it for 18 months. House appears drafty at times, especially in the stairwell where you can almost feel a "wind". Home appears well built and full insulated, home inspection went fine, but I cannot find source of poor seal. Need to finish basement and I'm considering spray foam insulation.